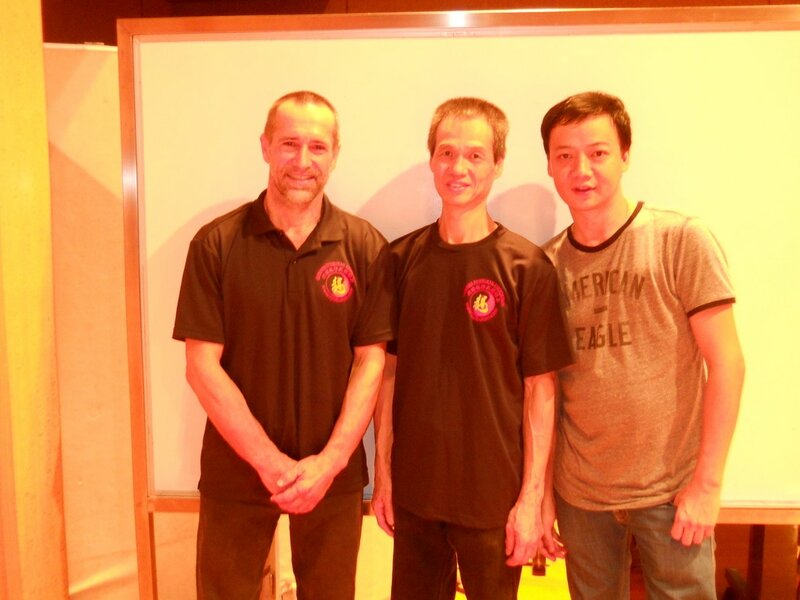 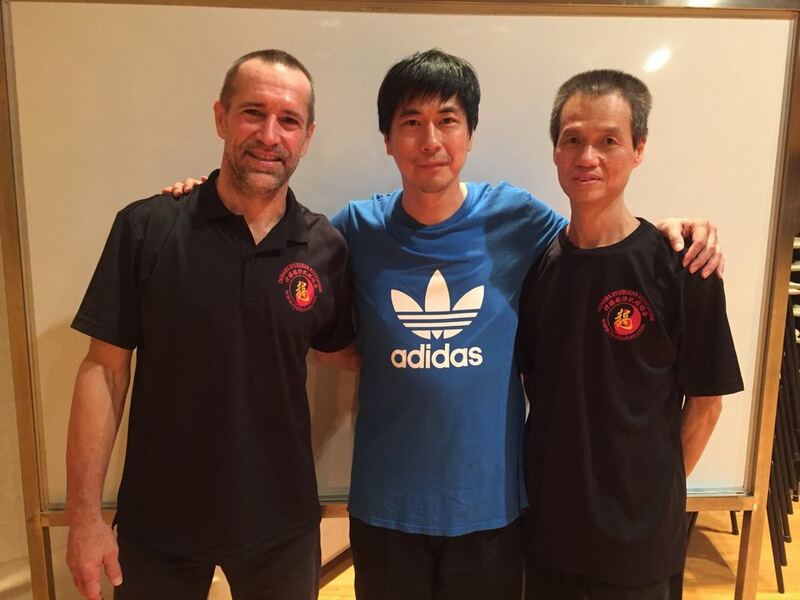 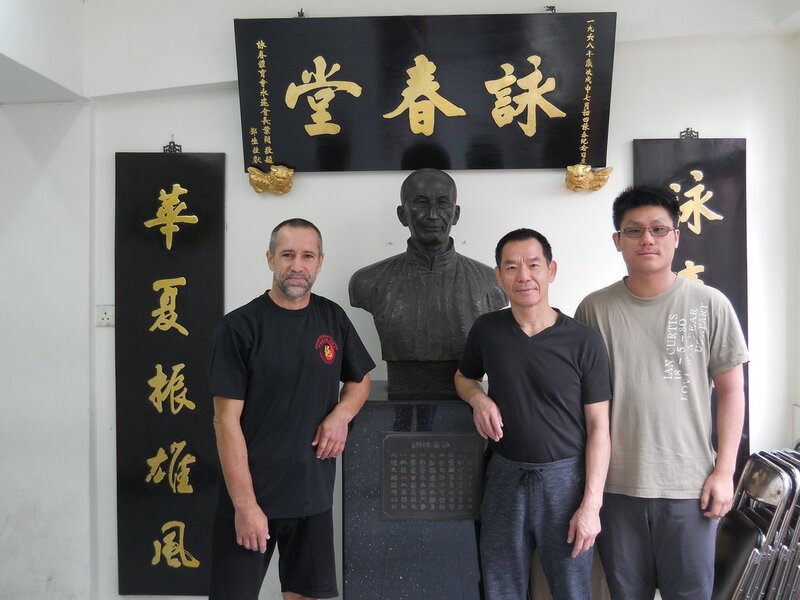 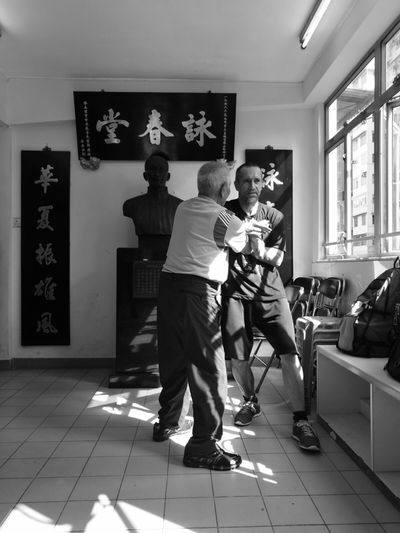 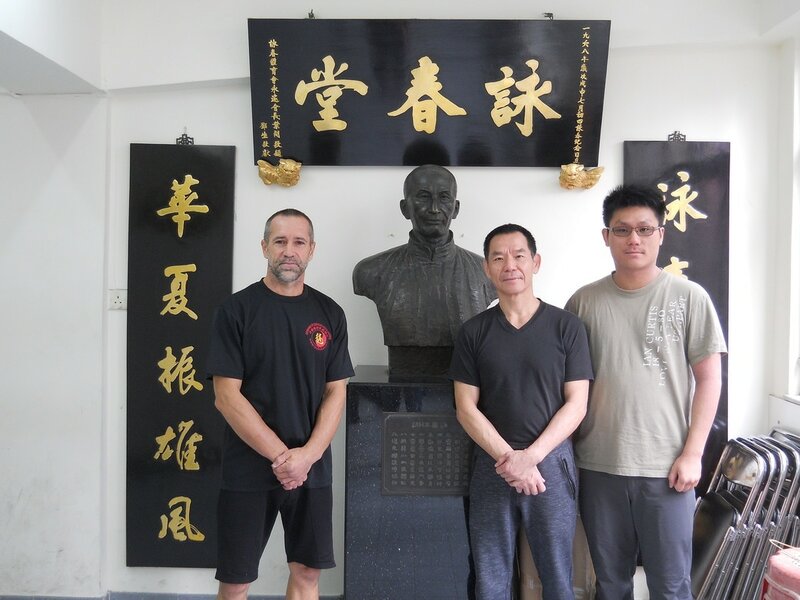 From January 4 to 11, it was my huge pleasure to train again at Wing Chun Ip Chun Academy under the direction of GrandMaster IP CHUN and his good qualified instructors. 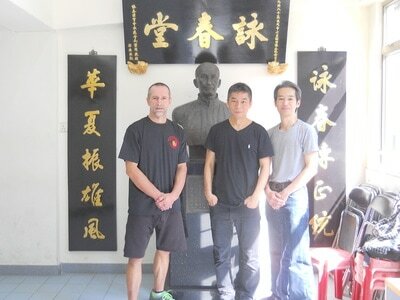 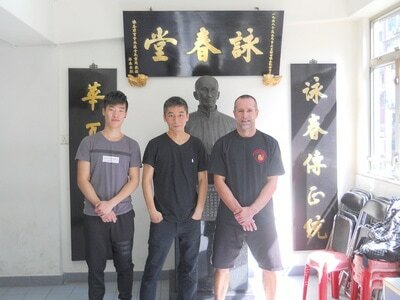 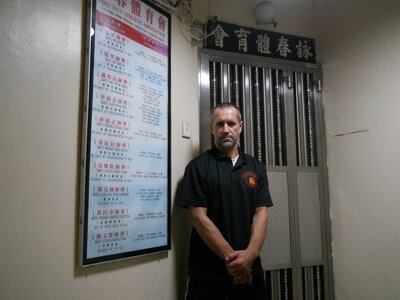 On my first day I enjoyed Chi Sao with Sifu IP CHUN's sons and grandson. 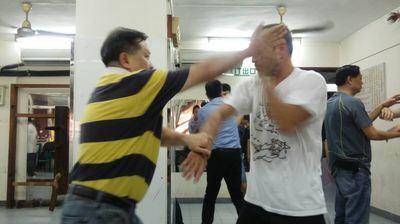 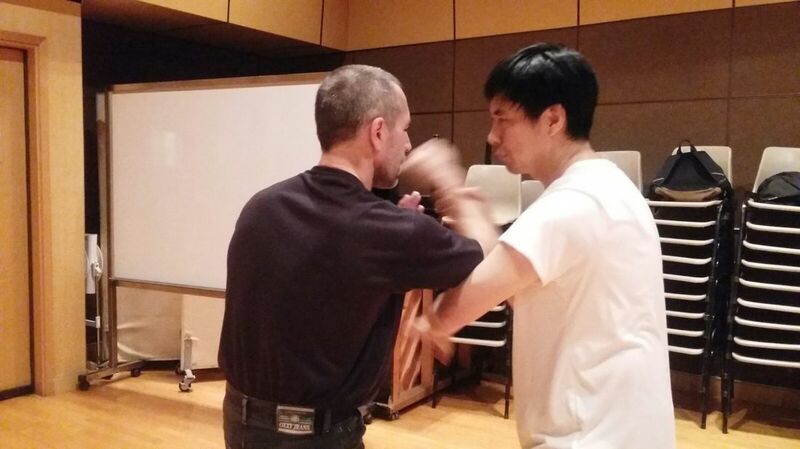 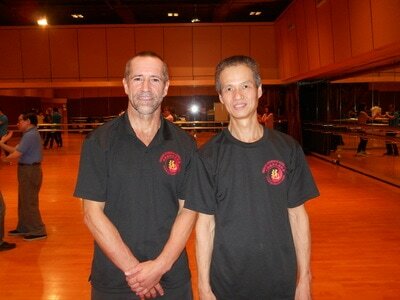 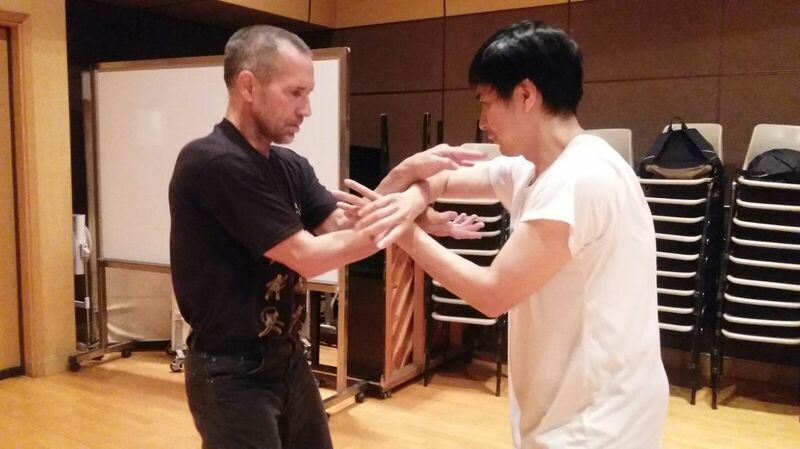 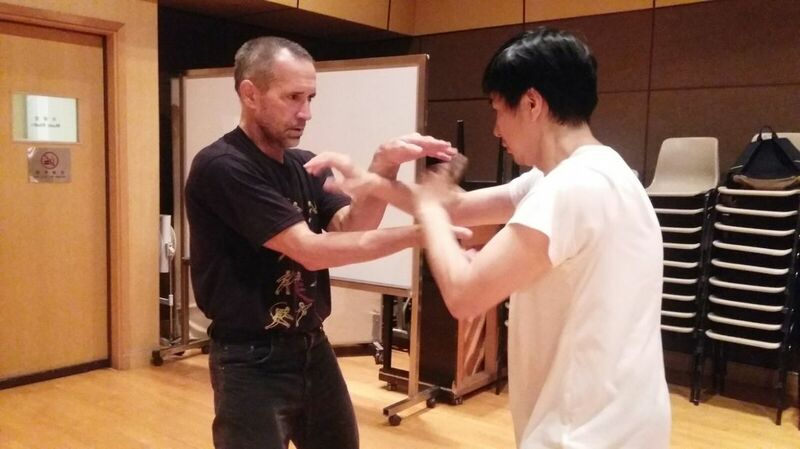 I felt with them the experience that comes from his father, and his grandfather GrandMaster IP MAN. 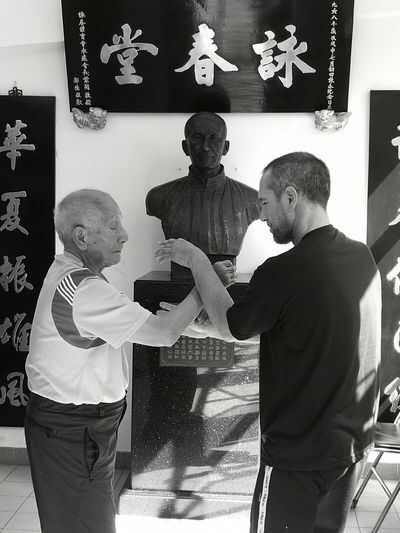 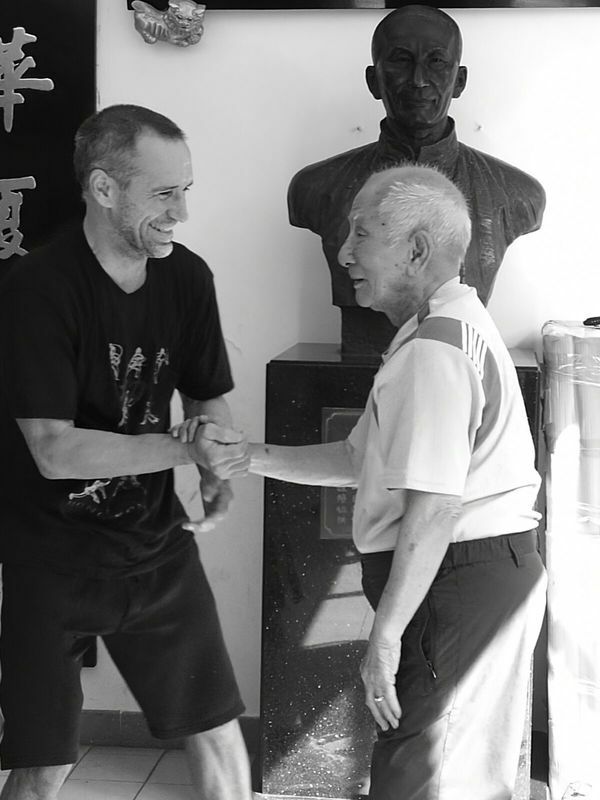 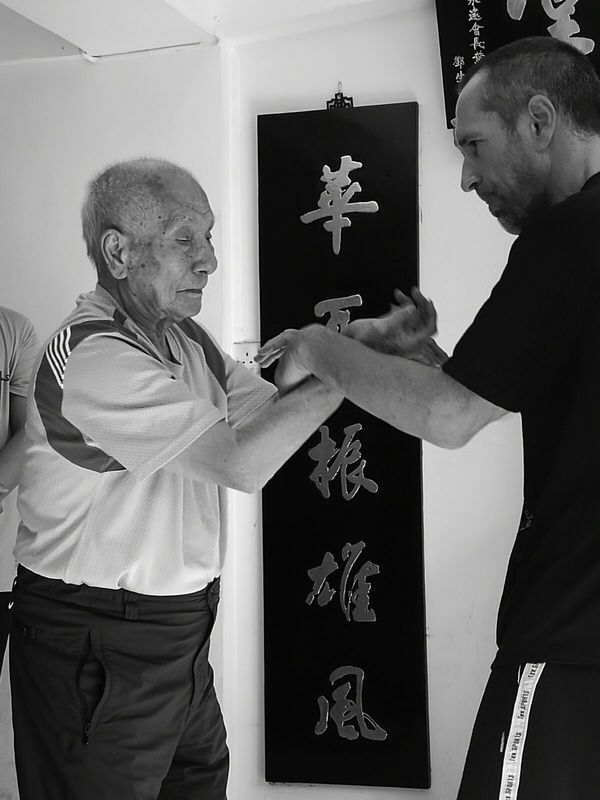 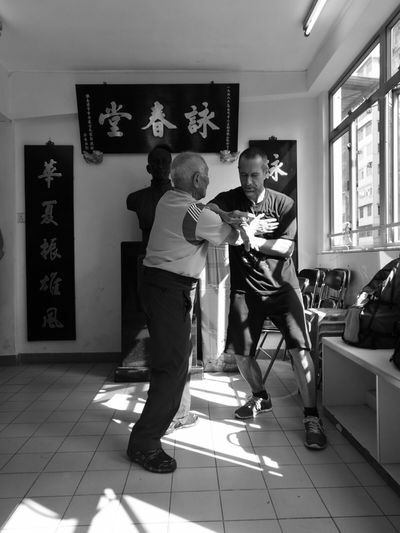 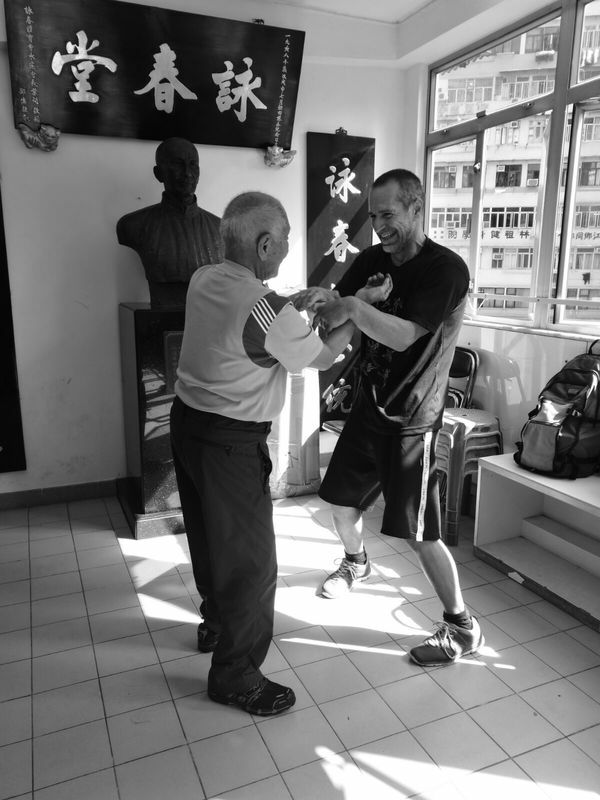 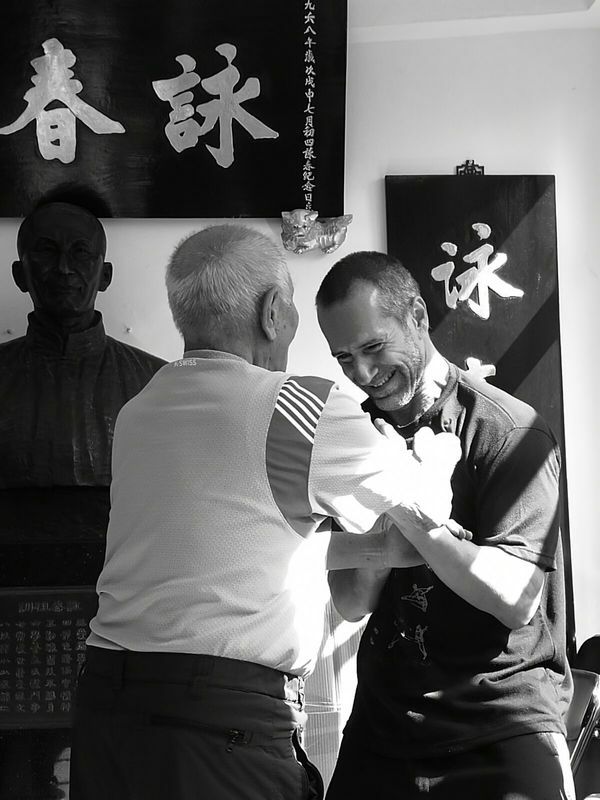 On my second day, it was an honor to train it directly with Sifu IP CHUN, who despite his age (92 years old), he still moves very well, and it is impossible to get inside him, whereas he easily and naturally gets inside you. 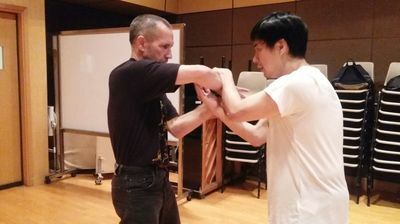 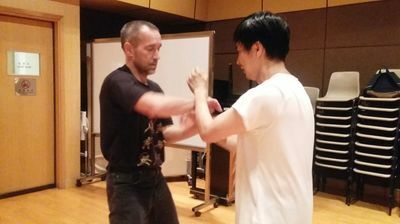 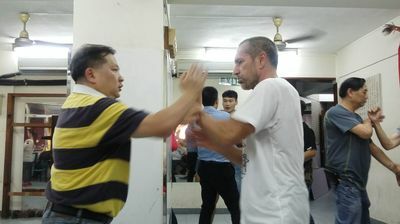 In the following days I enjoyed doing Chi Sao with several expert instructors, and each of them has a different way to work it. 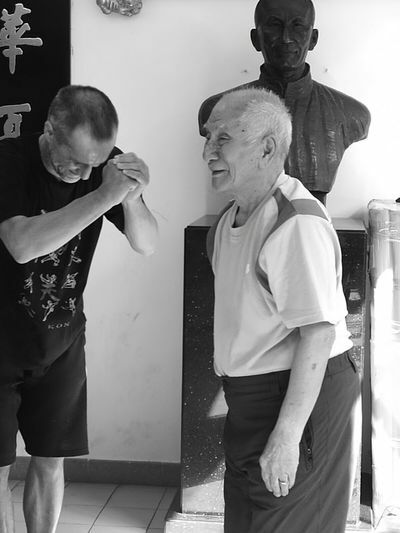 Someone works hard, someone else soft, somebody doesn't move his legs too much, others like to move more. 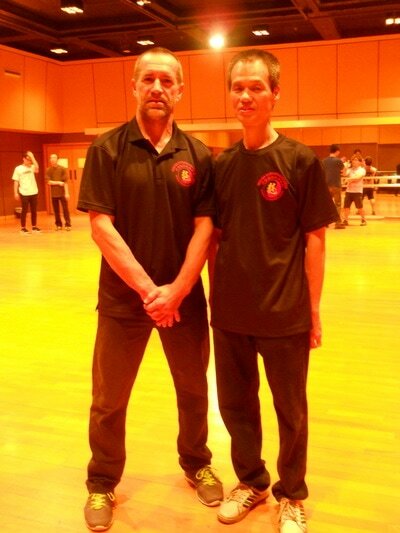 But, the most important point is that you learn a lot from all them. 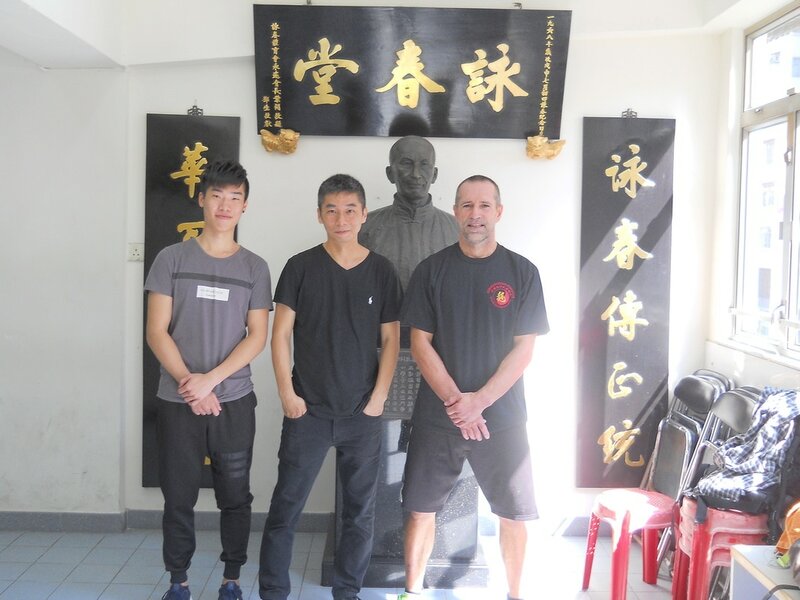 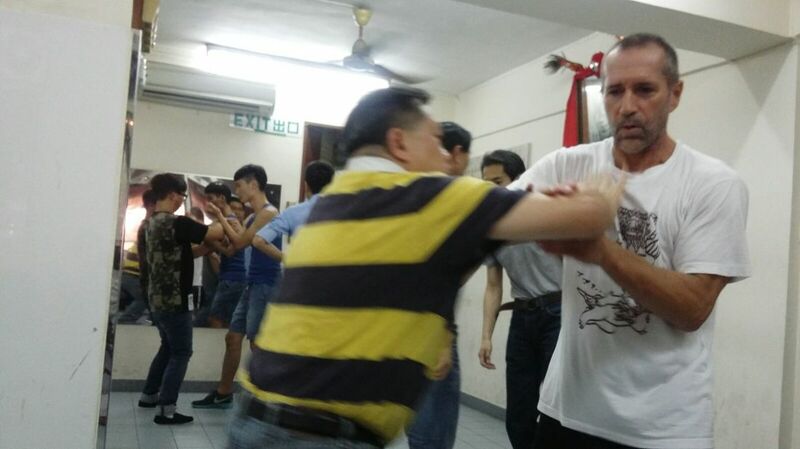 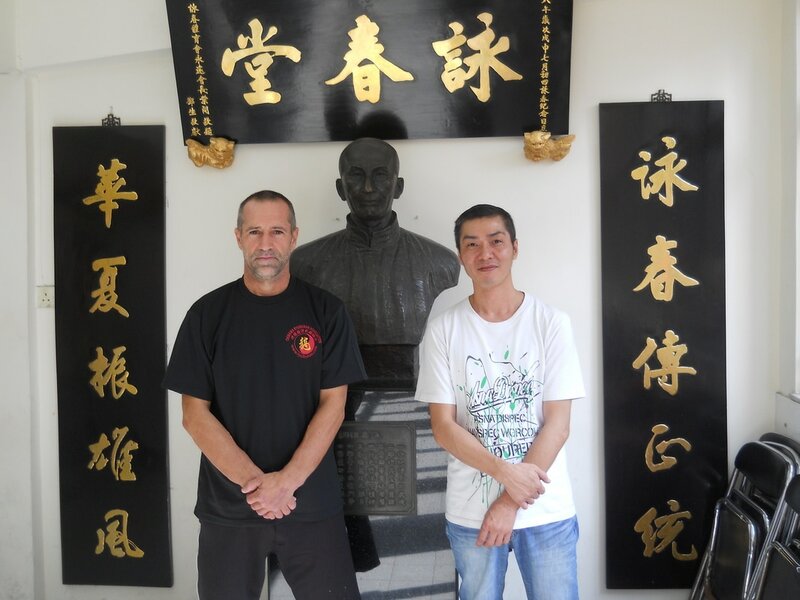 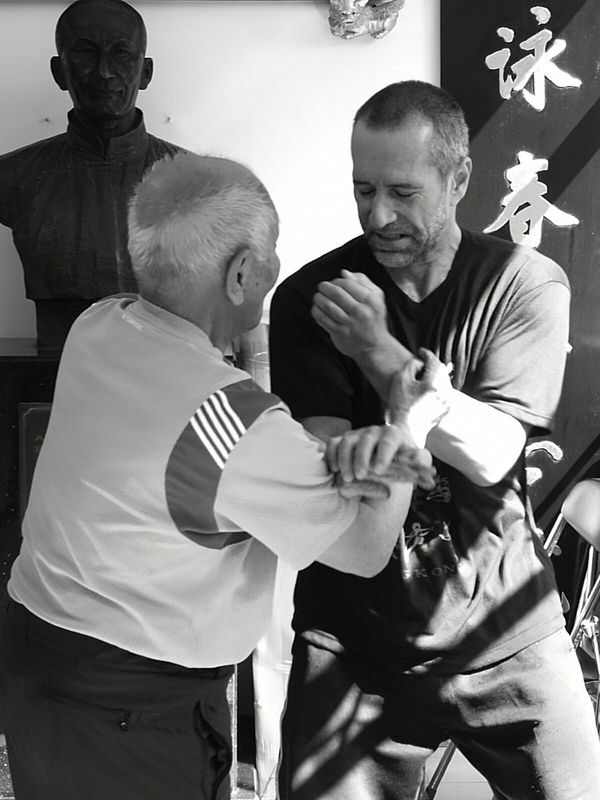 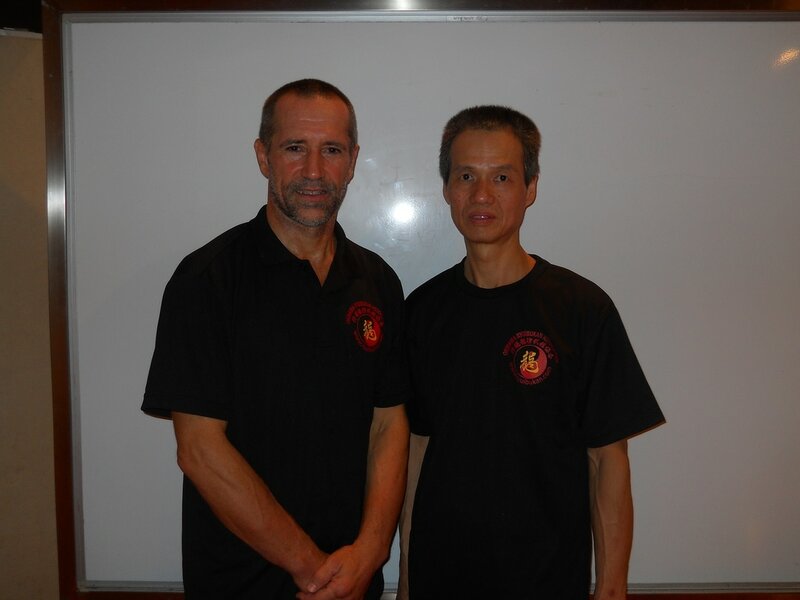 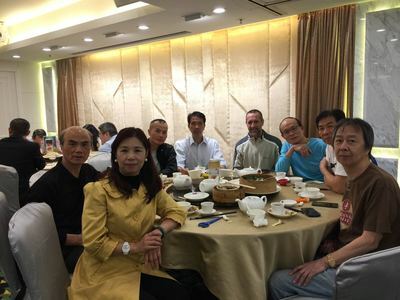 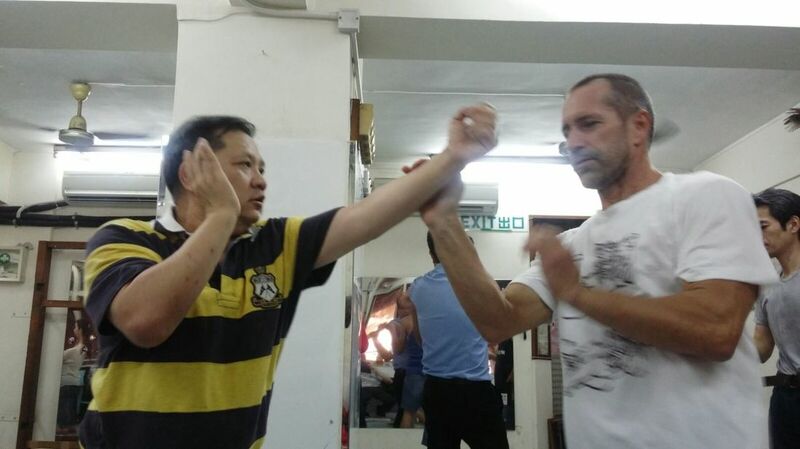 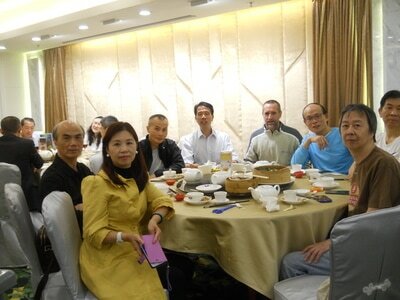 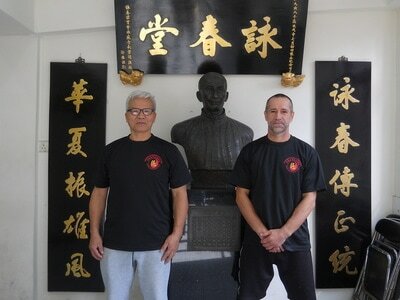 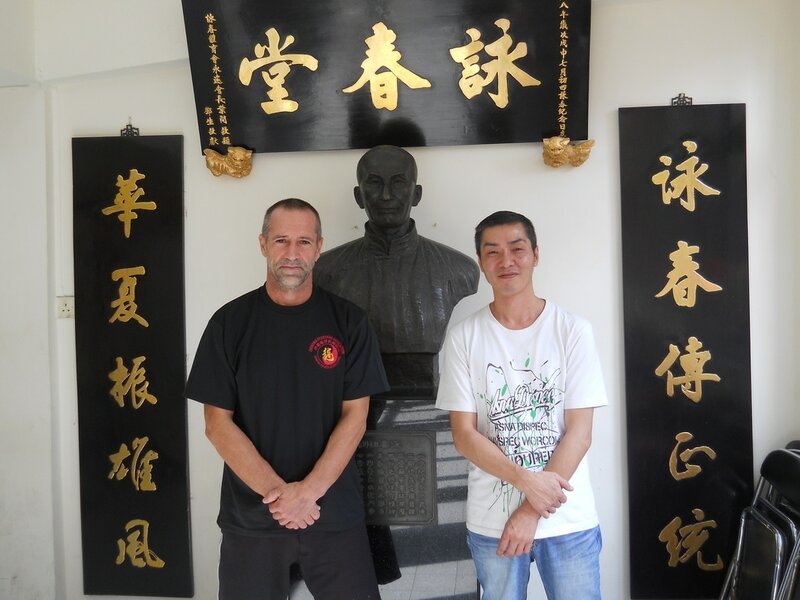 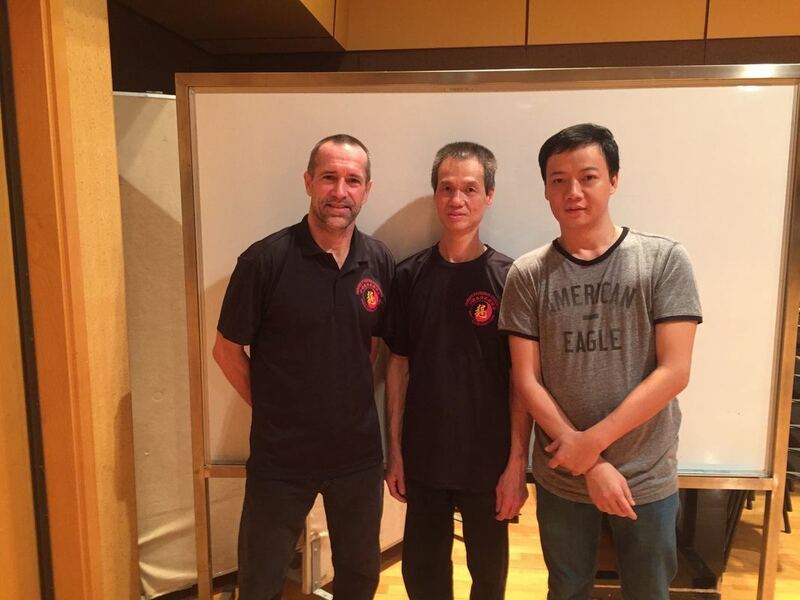 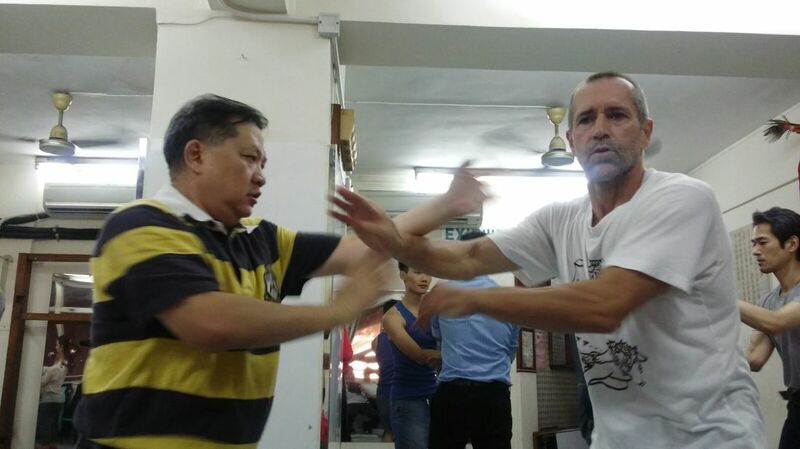 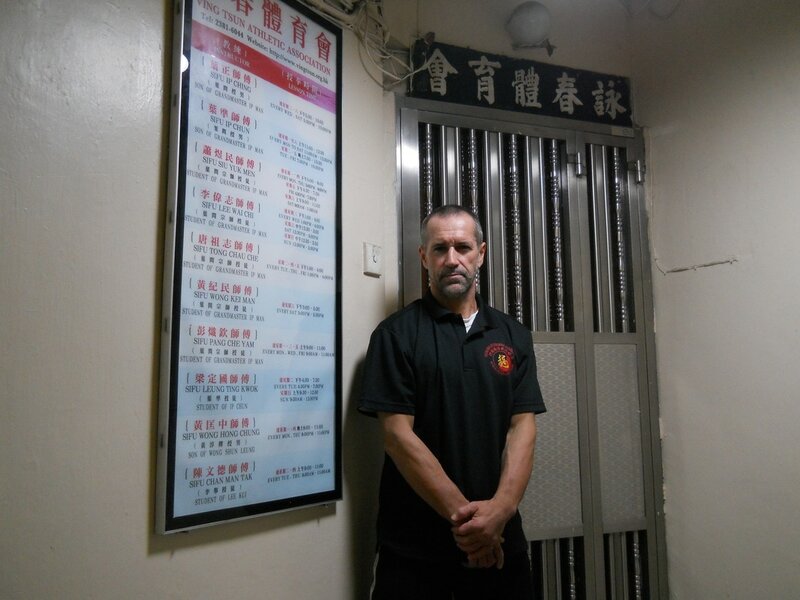 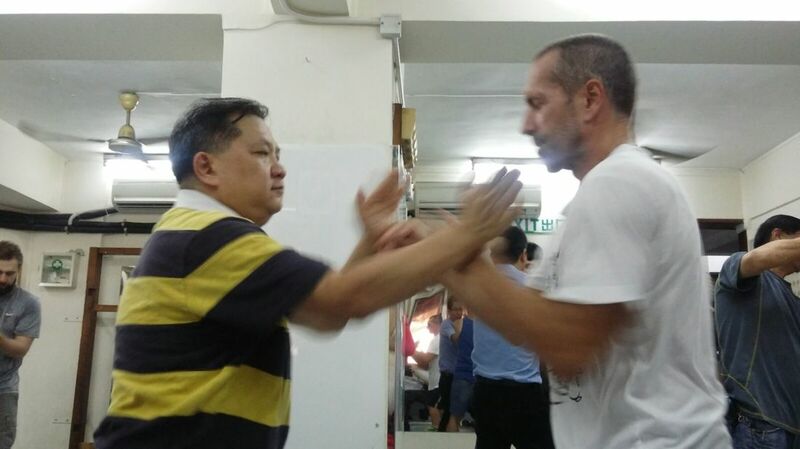 My sincere thanks to the entire Wing Chun Ip Chun Academy, for their kindness, their kind welcome, their preparation and professionalism, and for their friendship and family atmosphere that made me feel really good. 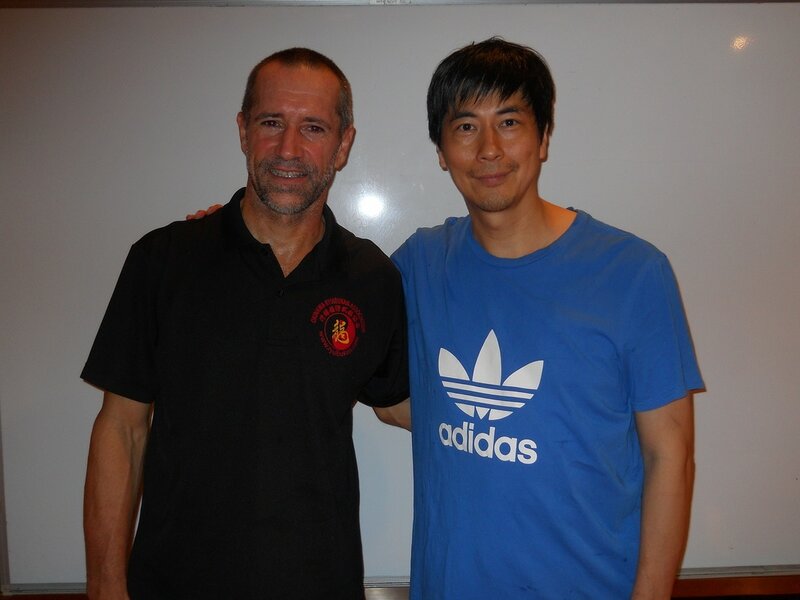 See you next time.